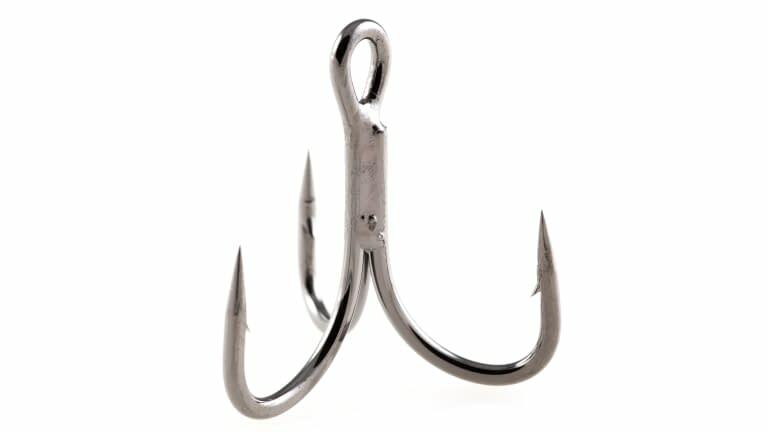 Stinger® 56 Trebles are 3X-Strong with a corrosion-resistant black chrome finish and are perfect replacement hooks for improving the hooking power or your saltwater plugs, spoons and die-cast jigs. Lethal when used as "stingers" on wire rigs for King Mackerel or Kingfish. Designed with wide gaps and strength in mind. Features a short shank, forged bends, and three Super Needle Points.